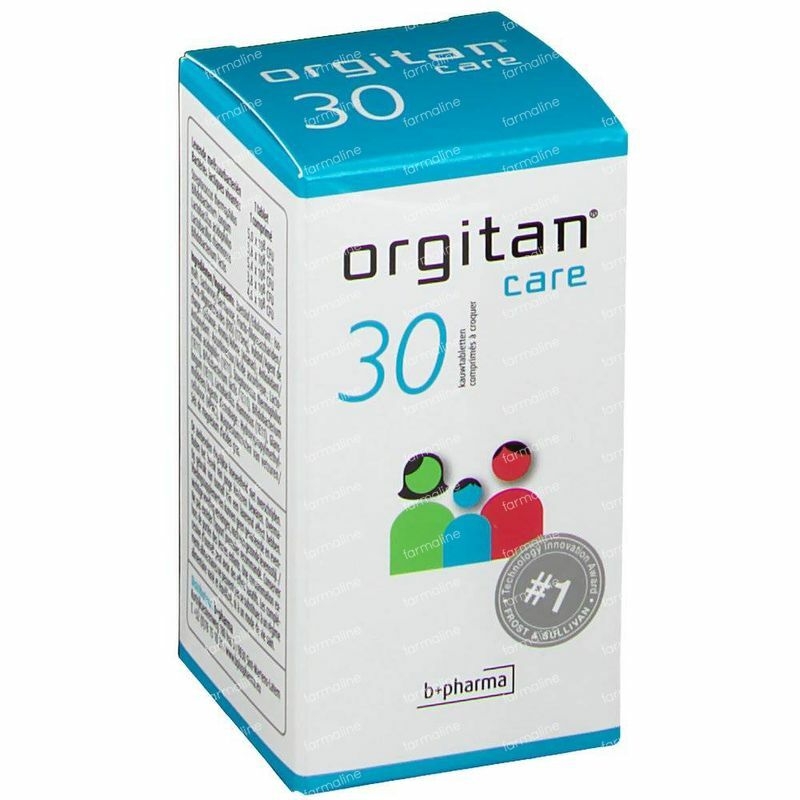 Orgitan Care 30 tablets order online. 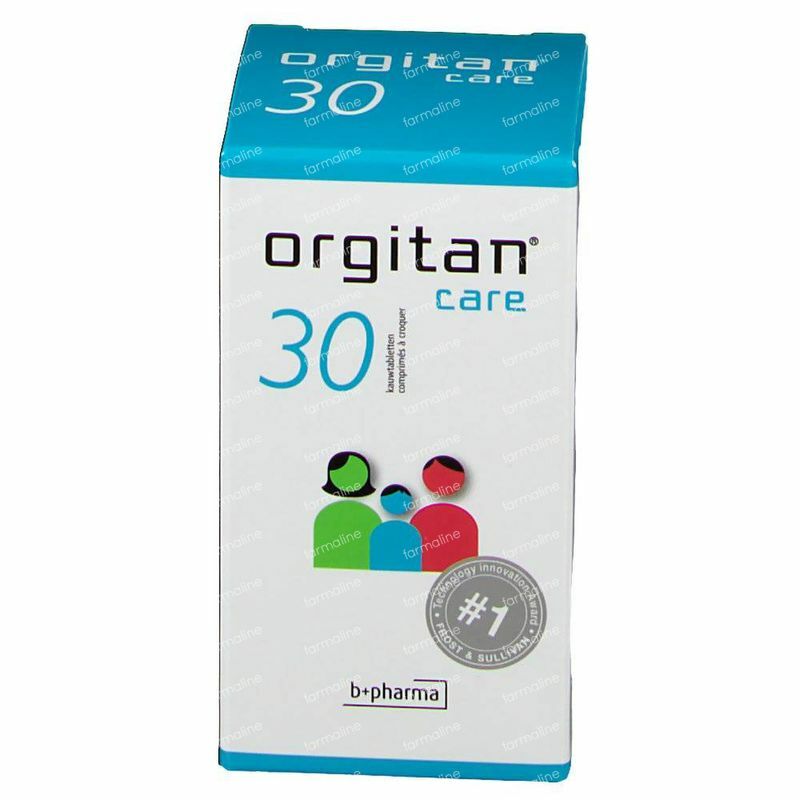 NORGITAN CARE is designed to operate at different levels for optimal protection of the intestine, by the complementary effects of 5 probiotic strains. Thanks to the high absorbability of these 5 specific substances and the equilibration of the five probiotic strains that work in synergy. NORGITAN CARE must be taken orally. 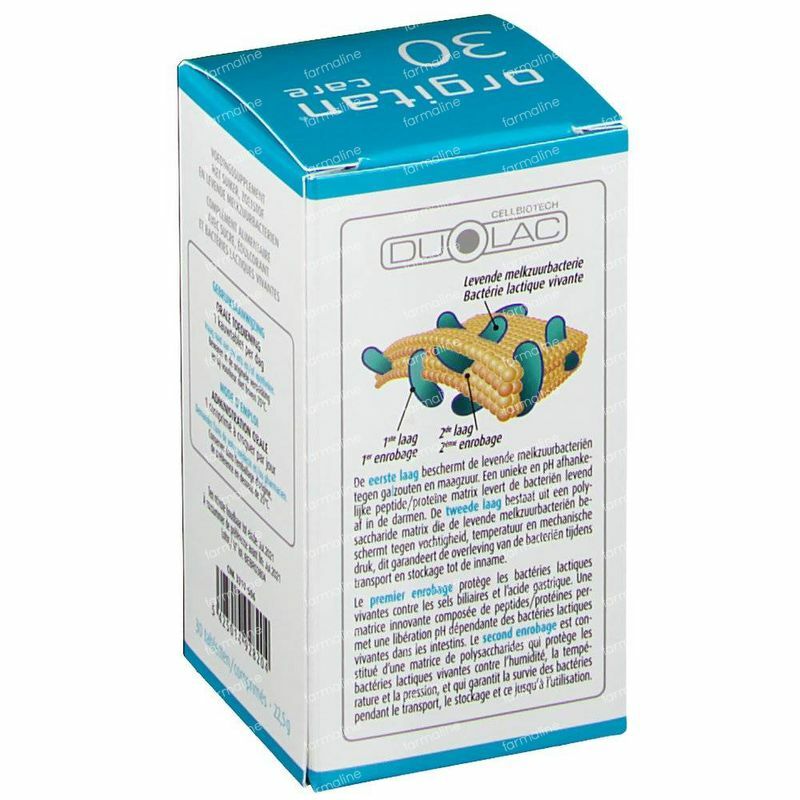 The tablets can be chewed or swallowed whole and have a pineapple flavor. 1 tablet per day. Or according to expert advice. Do not excess the recommended daily dose. 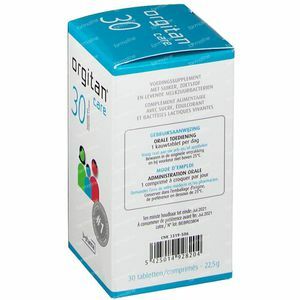 Dietary supplements can not replace varied and balanced diet or a healthy lifestyle. Ask your doctor and / or pharmacist. 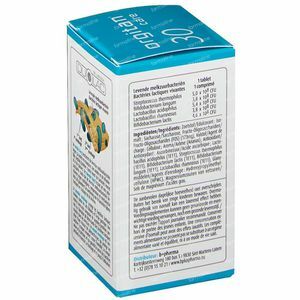 INGREDIENTEN Levende probiotica Per tablet S. thermophilus 0,50 mld. B. longum 0,38 mld. L. acidophilus 0,54 mld. L. rhamnosus 0,38 mld. B. lactis 0,46 mld. Hulpstoffen Fructo-oligosaccharides (FOS); Vulmiddelen: MC cellulose, Hydroxypropylmethylcellulose (HPMC); Zoetstoffen: Isomalt, Sucrose; Smeermiddel: Magnesiumstearaat; Aroma: Ananas; Anti-oxydant: Ascorbinezuur (Vit. 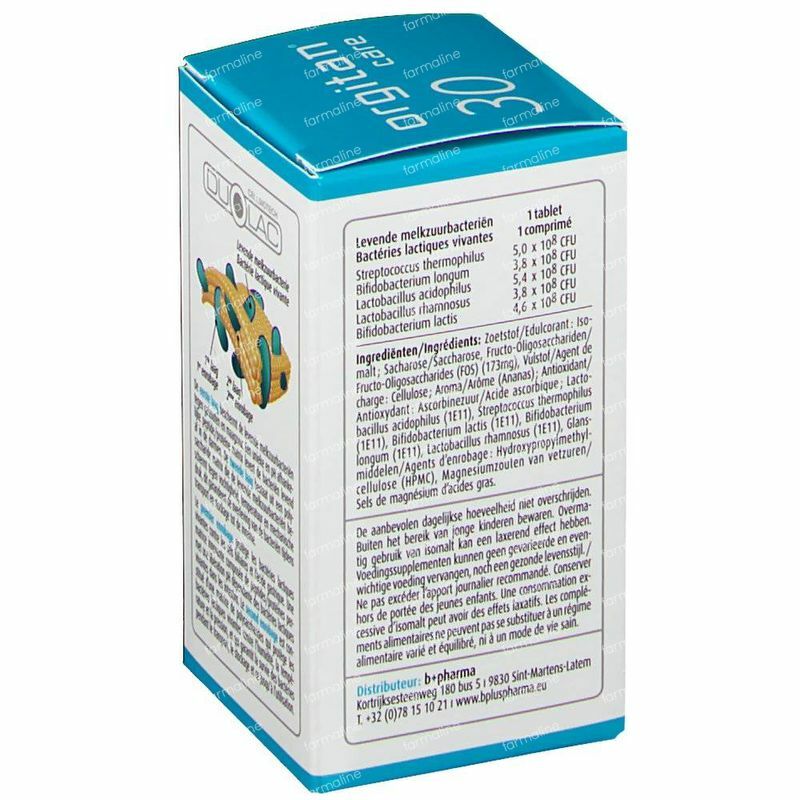 C) NUTRITIONELE WAARDEN Per tablet Lipiden 0 mg Koolhydraten 700 mg Eiwitten 0 mg Energetische waarde 2 Kcal Natrium 0 mg Ascorbinezuur (Vit. 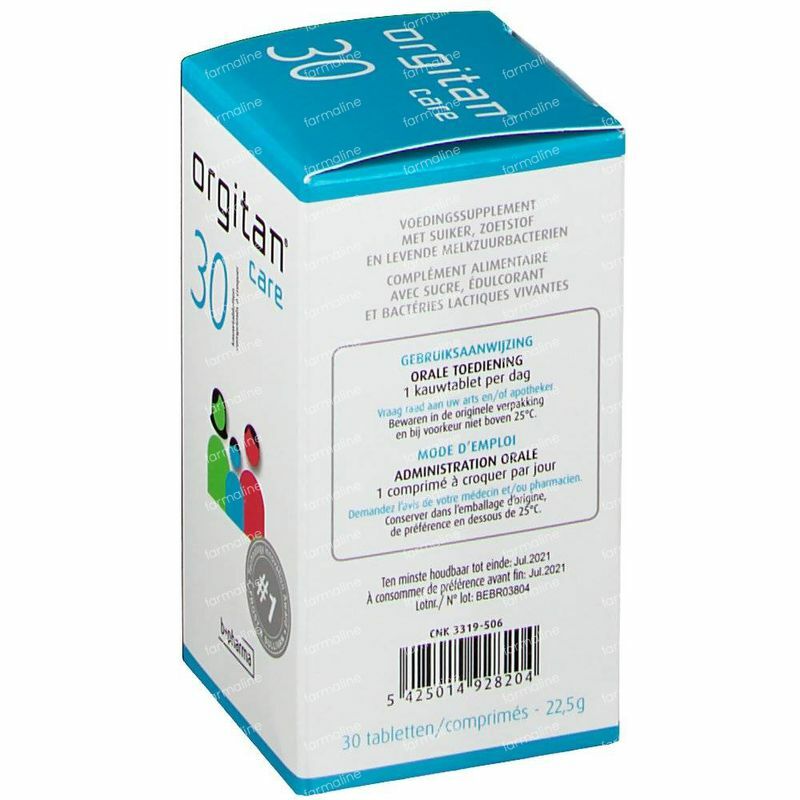 C) 15 mg Probiotica 2,3 mld. 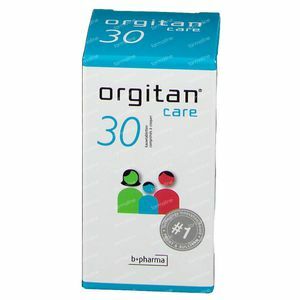 PREGNANCY NORGITAN CARE: during pregnancy and lactation may be used. INTERACTIONS WITH FOOD There are no known interactions with other food.INFLUENCE ON THE SKILLS AND THE ABILITY TO USE MACHINES NORGITAN CARE has no effect on the ability to drive and use machines.